Due to the diversity of the various e-Book Stores people are not able to read certain types of e-Book format on a specific device or e-Reader. That's when you realize that you need an e-Book Converter to be able to use and preview your e-Book in your desired way. I know that it's annoying when you often have to exchange between devices or e-readers just to be able to preview what you want to read. Well, the solution of your problem is easy because you can simply convert your e-Book to (.ePub Format) or any other format for free by following instructions given in that article. In fact, the ePub e-Book Extension is a format for files which do not have DRM-Protection that you usually get for free and they work great on any device or software. 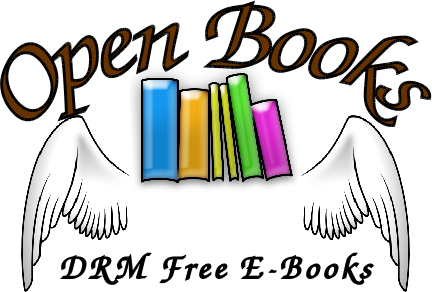 Obviously, what I recommend for you to do is converting your desired e-Books to that (.ePub) format using an open source software called Calibre. You can use that method to convert any type of e-Books to ePub or other formats so you can read it nicely to perform the best on Any Device and Any e-Reader. First of all, keep in mind that e-Book files with DRM-Protetion can't quickly be converted unless you get rid of restrictions. So, you may want to remove DRM from your desired e-Book by following my ultimate article of e-Book DRM Removal given in (Step 1). In case that your e-Book file doesn't have DRM-Restrictions then you can proceed directly to (Step 2). I have already wrote ultimate (Step-By-Step) tutorials as articles in this blog explaining how to remove DRM from Any e-Book easily and you may find the required tools that you need for the DRM-Removal Method of your e-Book for free. Calibre is an open source software e-Book Converter for reading and converting various e-Book Formats as well as syncing to many different kinds of eBook readers. Just download and install the latest Calibre for any Operating System from the Official Site. Now everything is ready and that you already have Calibre installed on your machine by that time. 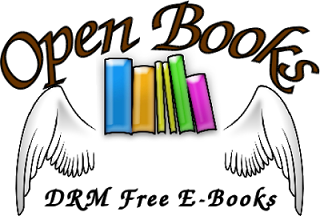 Simply, what you need now is just importing the e-Books you wish to convert to an other format. To do so, you have to click on Add Books button on the top left. Well, after importing your e-Books to the Calibre Library you would be able to convert them to any type of e-Book Format. 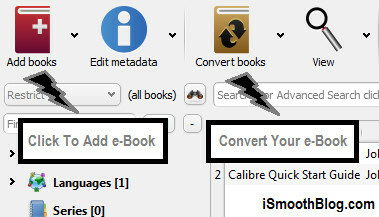 So, you can simply highlight your e-Books and click on Convert Books button. 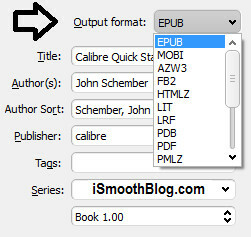 Once you click on that button, notice that output format of your selected e-Book is set to ePub by default so you can just click (OK) or you may want to change it. Great, there is only one single step left and it is exporting your e-Book File that you have just made from Calibre Library to your computer disk. How to Export e-Books in Calibre? Finally, that is the last step and you just have to save (or export) your converted e-Book from your Calibre Library to your Computer Disk. Move your mouse and just look at top of Calibre where you would find a button called Save To Disk click on the small (Down-Arrow) on the right of the icon. 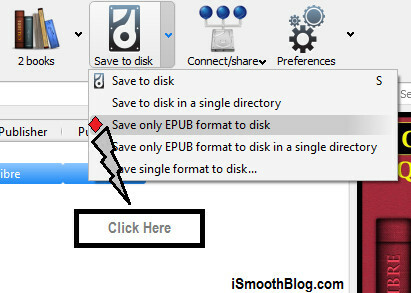 A menu will appear and you have preferably to choose "Save only EPUB format to disk" to save it in ePub Format or click on "Save single format to disk" if you have already converted it to different format and you wish to save it.